After 13 years, countless movie nights, lots of wear and tear from two kids and our dog, it’s finally time to get a new sofa! Out with the hulking monsters with rolled arms that took up way too much space and made the room feel cluttered instead of cozy. 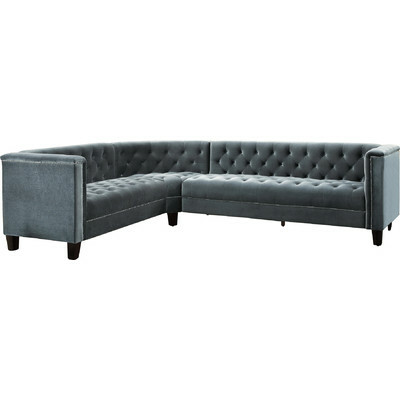 I hemmed and hawed, scoured the internet, did lots of research and finally narrowed it down to this sofa from West Elm. I absolutely love the way the lower profile makes the space feel enormous, the depth makes it perfect for lounging or napping, the loose pillow backs gives it the casual look I was after and I love the metal legs. 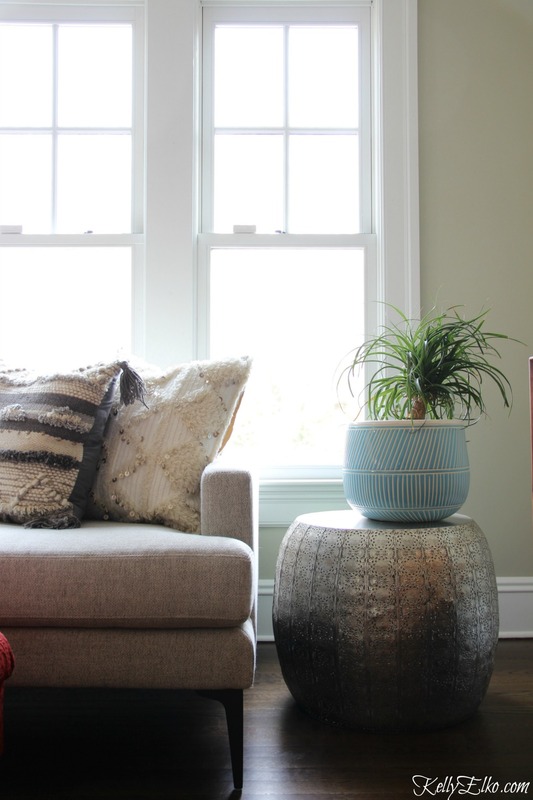 Don’t miss the pros and cons of the sofa at the end of this post. 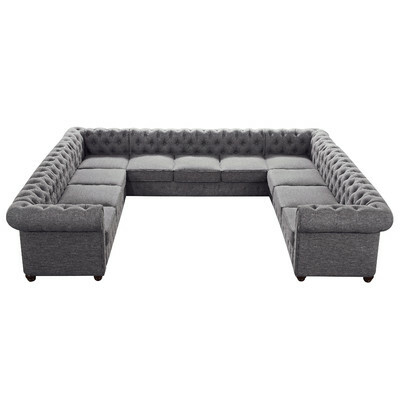 One huge mistake was averted before I ordered thankfully so I’m passing along my sectional sofa buying tips so you can get it right. Make sure to read my Tips for Buying a Sofa Online to take the fear out of making such a large purchase sight unseen! L Shape Sofas (what I have) – These often come in three to five pieces (mine has two one-arm sofas on either end with a corner piece). U Shaped Sofas – These wrap around in the shape of a U. They take up more space but are great for conversation. The white sofa below is a U with a chaise on one end while the gray sofa on the right is a U with arms on both sides. 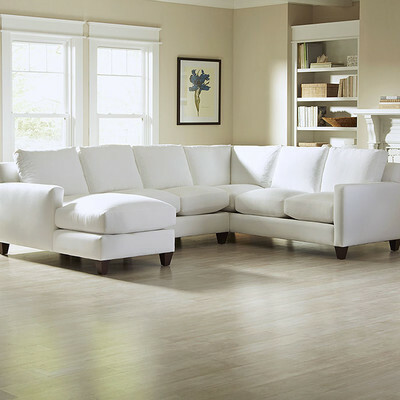 Curved Sofas – These can have only a rounded corner piece like the gray tufted sofa below or or the entire sectional can be curved like this beige sofa. Stationary sectionals are the most common (what I have). They are designed for one shape only (instead of mix and match like modular sectionals). Modular sectionals can be arranged in a variety of different ways (may be best if you move often or need more flexibility with room arrangements). Some pieces can also be stand alone (armless chairs). No matter the type, the better sectionals lock or connect the pieces together so they stay in place. I think this is important, otherwise the sofa pieces will slide out of place, especially on bare wood. This is the big mistake I almost made! Right arm facing (RAF) means that when you are standing and looking at the section, the arm is on your right. “Left arm facing” (LAF) means that when you are standing and looking at the section, the arm is on your left. You will be joining two or more sections together so it’s so important that you get this right, otherwise, the sectional may not work in your room! My LAF is longer than my RAF so if I had reversed them, it would not have fit in my room! Looking at the sofa below – this piece is a RAF (right arm facing). This is personal preference. I like the fact that pillow backs can be fluffed and turned to keep their shape but the look is definitely more casual than a tight back with no loose pillows. The pillows on my sofa are nice and firm which means they hold their shape nicely which I love. If possible, order swatches since colors and texture can vary depending on your computer monitor. I ordered a quick order fabric and the sofa was delivered in just a few days! If you have small kids and pets, you may want something durable and easy to clean. 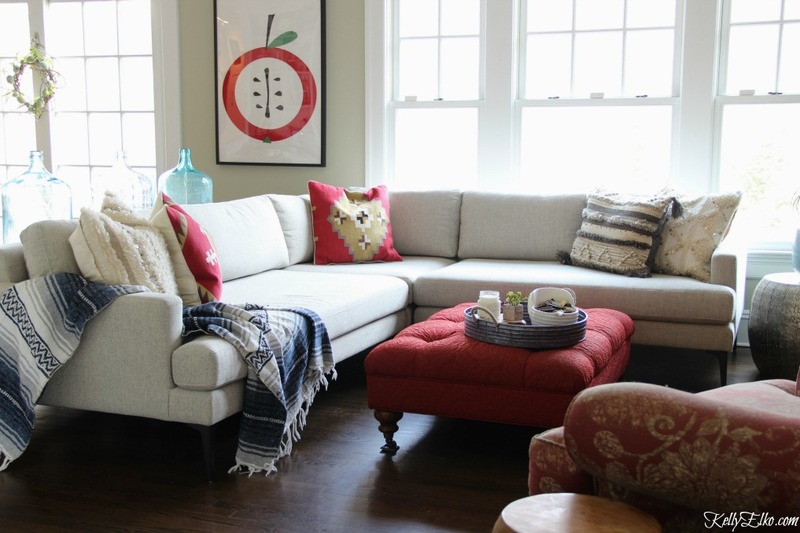 If your sofa is going in a more formal area, you may want something like linen or velvet. We were used to the higher back so this took some getting used to but we all love it! It definitely opens up the room and we love the corner section (we all fight over it). The fabric started to pill after one month – not happy. West Elm told me that is a natural occurrence in some fabrics and not a defect. I’ve been using a fabric shaver to get rid of all the pills to keep it looking like new. I have plans for this room including a fun gallery wall around the tv, a makeover for the ottoman, a rug to warm up the hardwood floors and a new chair. While I’m planning all of that, you can find me nestled in the corner of my sectional! Let me know if you have any questions or have any tips to add. Yikes! I would do major battle with West Elm over that pilling! I love the silouette of that sofa in your room. And if you ever want to get rid of your framed apple fabric, email me! My kitchen needs it! I tried Debra! Isn’t that apple fun – just a piece of framed fabric! Really nice Kelly, that is so my personal preference style sofa. I love it! Thanks Mary Beth – they are so comfy! it looks soooo good! totally opens the space and updates it. love your pillow mix, too! Love the look. Let us know about the ” pilling” and if it hold up. I need a love seat and have been scared to order on line. ? LOVE those Moroccan touches and the couch is beautiful !!! Wow, I love these sofas. Nice choices! Thanks for sharing. You have a beautiful new sectional and it is just my style. Know you will enjoy it . Thanks for the tips will come in handy when i get one in a couple of years. 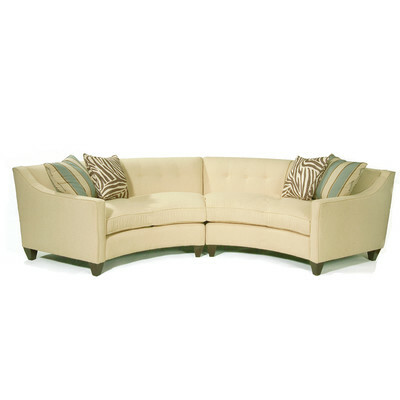 Love, love your new sofa Kelly!….Perfect for your home. Just love the style of it…it’s You! Thanks Shirley – I’m just happy that the whole family approves (even Sushi)! 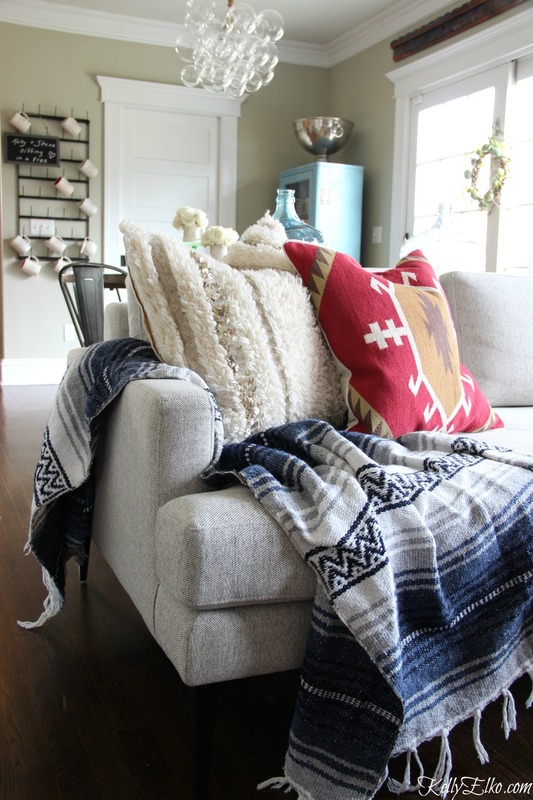 Kelly, your sofa is really gorgeous and looks perfect in the space. thanks so much for sharing your tips with us, sounds like it might be a little more difficult than most of us might have thought about! Thanks so much Debra – I’m glad I ordered the right pieces! Perfect choice! I see lots of comfy family movie nights in your future! Join us anytime for a movie (with a cocktail of course)! I would like more info on what to look for. What fabrics to avoid and why. What frame materials or types are good and what to avoid. Love this sectional and I’m seriously thinking about it. How is your fabric holding up now?? Still peeling? Do you find it sturdy enough with those thin metal legs?! I have actually had that experience with the bedding from West Elm. I am sorry you have pilling–I recommend to my clients a high double rub and Crypton technology if possible. Awesome tips. Thank you for posting and sharing such insights. Wonderful tool.